veryday we eat out of love and culture. For centuries, Dahi or Curd has graced our plates. However, the art of making homemade curd is lost to the convenience of TIME. Time is a commodity that is in short currency today and every food we eat today becomes FAST paced or read to eat out of a package. Millions of home’s are moving to packaged curd made available in your local supermarkets. As a nutritionist, we prescribe curd for its health benefits. 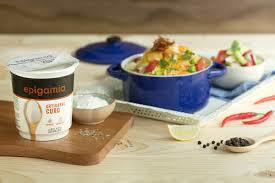 What most consumers do not realise that Fresh curd Made at home contain live good bacteria called PROBIOTICS! This curd is loaded with millions of these bacteria that help streamline your gut for better digestion and immunity. These good bacteria also help in digestion of various foods and keep the bad bacteria that attack you at Bay. Curd available off the shelf today is tricky! It’s the fermented milk that is produced the traditional way, but then the most destructive thing is done to this wonder food – the good bacteria are killed via a heating process. WHY? Well if you allow these bacteria to continue living, they ferment the curd further and produce a very sour end product, not to mention that the container will explode with the fermentation gases. So ultimately you get a curd without the good guys and only the protein and calcium that the curd is meant to offer. I think this is a rip-off as I want the curd with the bacteria in it. For many years I have been making my curd at home and struggle to get the right consistency…sometimes my wife buys the market curd much to my irritiation as she says “ IT SETS so well and is so creamy”! I am like its “DEAD CURD” that’s now how curd should be eaten. In fact many times I open a probiotic capsule and dunk the good bacteria into the curd. These are some of the hacks that I do as a nutritionist to help my family get a better nutritionally balanced product. I recently had my personal Nutrition gene or DNA test done and one of the genes tested was for lactose Intolerance. I was positive in lactose non-acceptance. Thus started my journey to ban milk and curd from my life. I did this for a few months and noticed drastic changes to my health and blood profile. Strangely even my cholesterol levels improved. So how did the removal of lactose help me? Lactose is a sugar found in milk and nearly 80% of Indians are predicted to be lactose haters!. It’s a wonder we have so much of milk and curd and nobody is asking why heart disease, hypertension and diabetes are rampant in the country. So most curd, cheese and definitely milk contain lactose and this sugar plays havoc on your digestive system by causing bloating, gas and in bad cases; loose motions! As India’s leading sports Nutritionist I can’t help prescribe curd in the diet of medal winning athletes. But for lack of lactose free curds, I caution the athlete on adding anything but homemade in their diet. This is again unrealistic as they live in hostels and hotels as sports people. 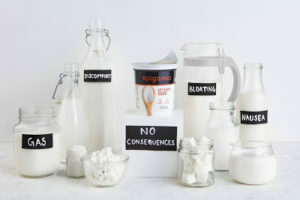 When Epigamia sent me a gigantic stock of Epigama Artisanal Curd to my QUA NUTRITION CLINICS with a 50 page manual on scientific studies of probiotics and that their curd was LACTOSE FREE, I was genuinely surprised. Did this mean the end of the days for my toiling to make the perfect nutritional curd at home. I opened the first container and tasted lactose free curd for the first time in India! Not bad, smooth, creamy and perfect balance of acid and natural sweetness of the curd. I heard my taste buds going this is good! I had a whole container and waited for a day! I checked for nose sniffles, stomach pains, bloating and 24 hours later I was smiling! I found the curd I wanted to fall in love with. What was even more satisfying was the two strains of added PROBITICS to this artistic creation! Digesting the scientific literature, my brains digested every fact this curd had to offer. Added lactase enzyme that would blast any lactose left after fermentation. My inoperable genes that procuce lactase enzyme can rest easy as the stomach would not be roughed up! Being curious about the two strains of bacteria, I dug further into why my parents or my 4 year old son should be eating half a cup of this healthy curd every day! Two new friends in my dictionary for good bacteria surfaced. Lactobacillus acidophilus and Bifidobacterium lactis graced my table and my research skills for the next few days. What I learnt is that curd need not be dead! Infusion of probiotics in the correct dosage is key. In this case over 2 Billion Colony forming units per gram. That is like an army of good guys entering your gut. The research papers actually pointed out that these strains of bacteria are able to stop the cold virus in its aggressive design to get your nose stuffy and feverish! For elderly people we find that constipation may be lessened as the bacteria allow better stool motility. For all of these great reasons I wanted to suspect that this is too good to be true. Epigamia Artisanal Curd ultimately hit a home run when the pack said limited shelf time of just 14 days. This is something everything a nutritionist looks for…FRESHNESS! It means that the curd will not be dead, will not lie on a shelf for 3 months and you know after 14 days any curd you buy is DEAD to you!